In the absence of national paid leave laws, some states have responded by creating programs that provide partial replacement of lost wages when urgent health or family needs mean workers must miss work. The three states with the longest track records are California, which implemented paid family leave in 2004; New Jersey, which implemented it in 2008; and Rhode Island, which followed in 2014. All three have had paid medical leave to address a worker's own serious illness for 70 years or more. Today, six states and the District of Columbia have enacted laws that provide workers with paid family and medical leave. Despite the existence of these state laws, both awareness and usage — especially among workers in low-paid jobs and members of minority communities — have been low. This report examines a number of innovative projects in California, New Jersey, and Rhode Island designed to produce usable knowledge about what works — and what doesn't — in raising awareness among workers most likely to need paid family leave and least likely to know about it. 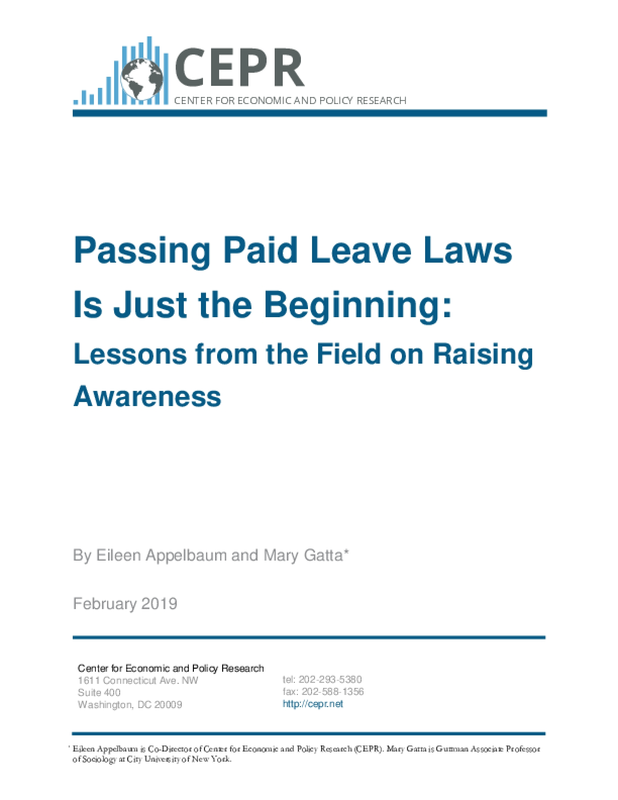 It draws the lessons learned in the field and provides guidance to advocates in states with paid family and medical leave programs as they design interventions to address this challenge.